In a plot twist worthy of a Shakespearean tragedy, organizers of Connecticut Free Shakespeare are certainly hoping "all's well that ends well" as funding from the City of Bridgeport for this summer's production at Connecticut's Beardsley Zoo is questionable at best. So organizers of Dandelion Productions are scrambling to secure funding and a new venue for this 17th season of the popular outdoor performances, and for this year's production of The Taming of the Shrew. The thought behind the efforts of Artistic Director Ellen Lieberman and Executive Producer Bert Garskof are of that theatrical adage, 'the show must go on,' especially this year. April 23 marked the 400th anniversary of Shakespeare's death and all these years later his influence continues and his plays still entertain audiences around the world. "It would be a big cultural loss, a community loss," for their professional productions to end, Lieberman said, adding that there is hope on the horizon. The organization will hear in July whether support will come in the form of a grant from a local foundation and they have reached out to leaders in Stratford about the possibility of returning to perform on the grounds of the American Shakespeare Festival Theatre. "They belong on our lawn. We've had great success with them here in the past. It's something that needs to happen here," said Matt Catalano, a professional stagehand, former Stratford city councilman and current executive director of Festival! Shakespeare. 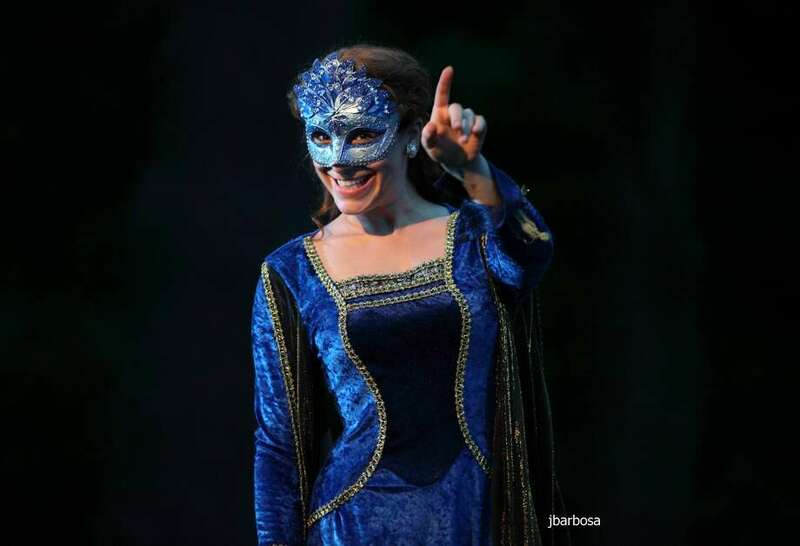 Catalano said Connecticut Free Shakespeare has attracted as many as 2,000 people in the audience in Stratford for the shows that are free to the public, as the name implies. The move would mean no hilarious improvisational moments between actors and the zoo's peacocks, which sometimes interrupted performances by hopping on stage, often during key scenes. "Animal life was always present at the zoo. When a siren went by the wolves would all start howling," Garskof said. Lieberman said they hope to continue their tradition of bringing Shakespearean comedies to the masses. "We pick out the ones that are really crowd-pleasers: A Midsummer Night's Dream, Love's Labors Lost, Twelfth Night, Much Ado About Nothing, and this year The Taming of the Shrew," Garskof said. Their productions include professional Actors Equity performers, mostly from New York, combined with local talent. People are encouraged to spread picnic dinners and the actors are encouraged to interact with the audience members. In fact, Lieberman created something called the Living Intermission where actors talk with the audience and they sing together. "I like breaking that fourth wall," Lieberman said. The organization's mission "is to produce free-to-the-public professional works of classical theater in an accessible, skillful, imaginative American style that honors the playwright's language and intentions and that crafts these plays with a 21st century sensibility," the website says. Their performances are designed to reach a broad audience including those who are not familiar with Shakespeare's work. It's keeping theater alive for those who may not be able to get to New York or those for whom Broadway tickets are too expensive. And it's not just about entertaining, Lieberman said. Their workshops have introduced many Bridgeport children to stagecraft – lighting, sound, set construction and costuming. It has also inspired some young people to choose the performing arts as a career on stage and off. One former participant is now a costumer for the Ringling Brothers and Barnum & Bailey Circus clowns, she said. Check the Connecticut Free Shakespeare for news about this summer's season at www.ctfreeshakespeare.org.